Initiative 18-105 in Klamath County is the initiative placed on the ballot by cannabis activists and supporters following a vote last year to ban marijuana facilities of any kind in the county. Supporters from the cannabis industry, including Klamath County Commissioner candidate Steve Ball and dispensary owner Ed Medina of A Better Way Medicinal and at least 25 more businesses participated in the signature collection. They collected over 1,500 signatures, of which the required 915 were certified, which was enough to put the initiative on the ballot for the coming Primary election. 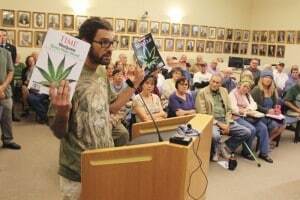 Klamath County first imposed a moratorium on dispensaries after the passage of HB 3460 in 2013, which allowed medical marijuana dispensaries in Oregon but immediately faced resistance from conservative counties. After the legislature made it an option for a some resistant communities to “opt out” of the recreational market as well—with a simple commission or council vote, Klamath County quickly moved to ban all licensed marijuana businesses, simultaneously thumbing their nose at the inevitable windfall of tax money from the state cannabis trades that would set up businesses in the region. The referendum initiative, filed by Melissa Ferroggiaro of Laughing Lotus Farms, would reverse the commissioners’ ordinance and allow marijuana businesses to operate in Klamath County, which in turn allows Klamath County to share in a portion of the annual statewide tax revenue estimated to be 40 or 50 million dollars, based on the $3.5 million raised in January alone. Laughing Lotus had been about to open a dispensary in the county, which was derailed by the commissioners’ decision. Feeling deceived and mistreated by Klamath County, the owners decided to fight back. 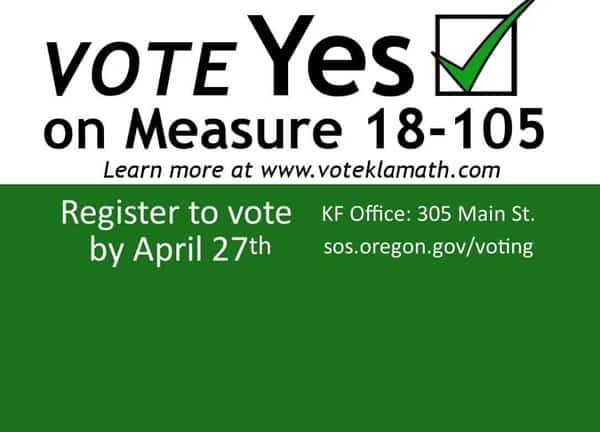 The group Klamath For Cannabis, also headed by Melissa Ferroggiaro, is sponsoring the initiative and organizing the Yes on 18-105 campaign. 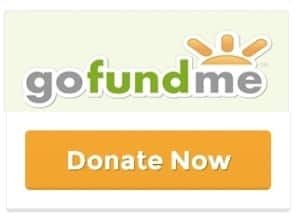 You can help them with funding by visiting www.gofundme.com/klamathforcannabis. Click Above To Support 18-105!